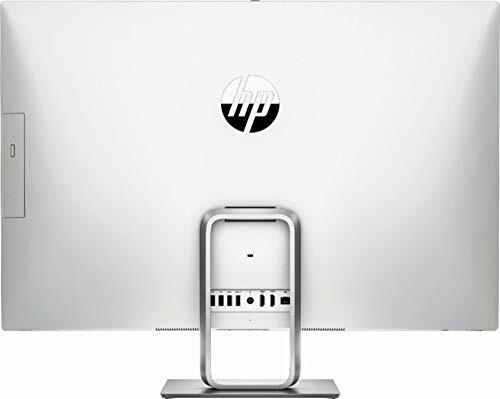 The HP Envy Recline 27-k350 is a 27-inch All-In-One desktop with a functional and versatile 10-point touchscreen, meaning you can use it on your desktop even on your lap despite its heavy size. While the Dell XPS 18 (1820) All-In-One comes with a removable 18-inch full HD screen you can use as a tablet, the HP Envy Recline 27-k350 is designed to conveniently recline into a large tablet bringing touch navigation closer than before. Improvements over its predecessor, including a Haswell-based Intel Core i5 processor, 12GB RAM and 1TB SATA 6G Solid State Hybrid Drive with 8GB SSD acceleration cache, meaning that the Envy K35O has all the functionality you expect from a Windows PC. 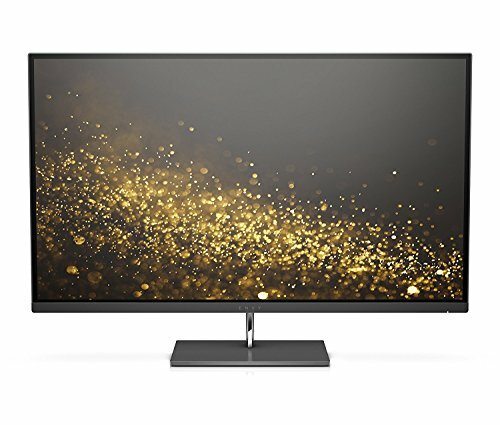 Sleeker than its rivals, the latest HP Envy Recline 27-k350 has enough power for both work and play, a beautiful Full HD IPS display and very decent sound with Beats Audio. For the price, I am convinced that it is a good deal; considering that All-In-One desktops tend to be quite expensive than normal. Using Windows 8.1 is a favorite for many users, but with a 10-point touchscreen computer things are made easier, and you’re ready for the release of Windows 10 to be launched soon in 2015. The 27-inch In-Plane Switching (IPS) HD touchscreen display has a 1,920-by-1,080 resolution and 10-point touch capability. It’s clear and bright, even in a fully lit room. There is an adaptive screen brightness setting you can disable to get full brightness, but the display is pleasant to use when right out of the box. Touch sensitivity is good enough that you should be able to use the HP Envy Recline 27-k350 as a full-time Windows 8.1 PC on its own if you had to. With the wide screen you can Tap, swipe and pinch in vibrant Full HD, and get the best view in the house with widescreen IPS technology. You’ll experience crisp, clear and immersive sound through the built-in stereo speakers and Beats Audio when you’re listening to songs, watching videos or playing games. From the outside, not much has changed from the original HP Envy Recline. The newest iteration measures 19.20 by 10.44 by 10.4 inches (HWD), but it’s now lighter, at 32.2 pounds, making it quite hectic to carry around when you need to. You can power it directly via the included AC adapter, or use the bundled stand. It comes bundled with Wireless keyboard with 10 key numeric pad and volume control and a wireless optical mouse are included in the bundle (as well as the batteries). It doesn’t have an optical drive but a 802.11bgn wireless, Gigabit Ethernet with RJ-45 connectivity, 2 x USB 3.0 ports to transfer data faster, 2 x USB 2.0 ports, 3-in-1 Memory Card Reader, Bluetooth 4.0, NFC Antenna, an HDMI port to hook up your game console, large screen HDTV and Blu-Ray, a Headphone/Mic combo and a good quality 1 MP webcam for Skype chats with friends and family. It is not mountable on a wall- no VESA mounting points at the back and you’ll need to use it on the flexible base provided- tilted between 5 and 145 degrees. An Intel Core i5-4570T Processor with integrated NVIDIA GeForce 830A Graphics with 1GB DDR3 dedicated memory powers HP Envy k350. Combined with 12GB of memory and the aforementioned SSD, the system is well equipped for day-to-day use. Being a power AIO in its own class and specs, it is not easy to make it comparable with most portable AIO desktops, but I can pit it against some standard all-in-one desktops in terms of performance. The HP Envy Recline 27-k350’s benchmark specifications maker it better than the Dell XPS One 27 XPSo27-2945BK and the Dell Optiplex 9020. 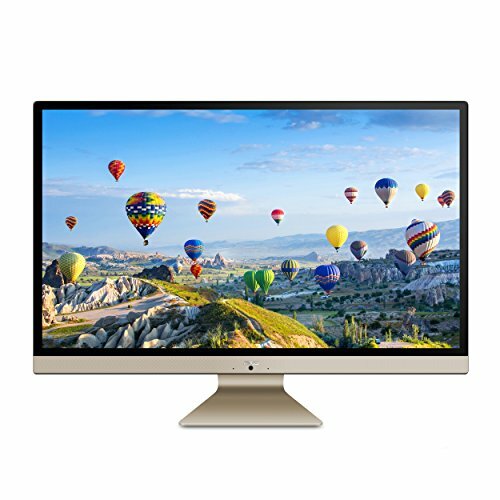 The more versatile Apple iMac prevails in both base speeds, design and graphics. The 12GB PC3-12800 DDR3L RAM offers superior multitasking potential, while the 1TB SATA 6G Solid State Hybrid Drive with 8GB SSD acceleration cache help the system to boot up or wake up from hibernation quickly- don’t expect it to be like a larger capacity ‘128GB or so’ SSD and Windows 8.1 operating system which you’ll be able to upgrade to Win 10 for free soon. The NVIDIA GeForce 830A Graphics with 1GB DDR3 dedicated memory is a bit better than Intel HD 5000 so older games are playable at higher settings but newer titles at low to medium settings but offers enhanced realism for multimedia and games and fast playback, great for streaming and watching movies and editing multimedia up to a certain level and you also have the built-in Intel HD 4600 as part of the/with shared memory with the Intel i5 CPU. Though you likely won’t be carrying the HP Envy Recline 27-k350 on your daily commute, the system is certainly a worthy companion for moving around the house. Its battery pack gives you a healthy amount of rundown time, so you won’t have to search for a power plug after an hour or two. It’s not light enough for you to carry around, but will work anywhere there’s enough space to put it down. Older iterations of portable all-in-one desktops had promise, but were ultimately hobbled by bulk or short battery life. The latest HP Envy Recline 27-k350 has solved both problems and it is worth a very long look as you shop around for a portable All-In-One desktop PCs. Though you likely won't be carrying the HP Envy Recline 27-k350 on your daily commute, the system is certainly a worthy companion for moving around the house.